As two of the most popular fixture finishes, brushed nickel and stainless steel bear several similar features. However, they are completely different, particularly in terms of finish, color, and maintenance. Brushed nickel is a type of nickel finish that can be used as a plating in the construction industry. Brushed nickel a material made up of copper, zinc, or nickel, which is a silvery-white metal used to manufacture non-ferrous alloy and steel. It is created by the use of an intricate brushing process, and it is a cheaper than pure nickel. Meanwhile, stainless steel, also called inox steel, is a type of metal made up of around 10.5% to 28% chromium, making it highly resistant to corrosion. It is an alloy of carbon and iron and is typically used in the construction industry. Despite playing equally important roles, there is a difference between brushed nickel and stainless steel. 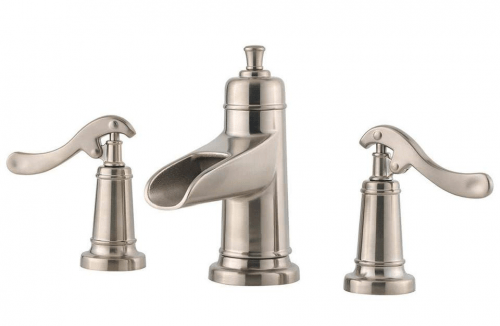 Brushed nickel is a material made up of copper, zinc, or nickel, which is a silvery-white metal used to manufacture non-ferrous alloy and steel. It is produced by the use of a wire brush or a similar brushing tool, which creates small consistent grooves on the metal. Stainless steel, on the other hand, is a steel alloy made up of around 10.5% to 28% chromium, iron, and carbon. 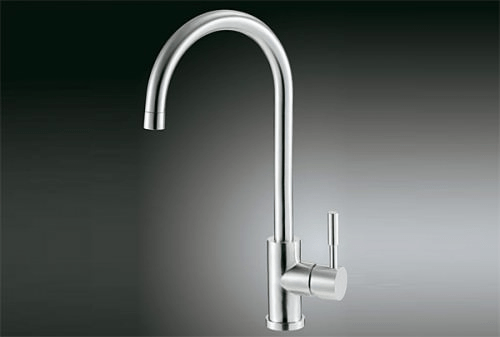 Stainless steel used as a fixture finish, however, is not made up of pure stainless steel. Instead, it is a steel or brass material that undergoes electroplating, which is a process used in plating one type of metal to another to eliminate chances of corrosion. Brushed nickel and stainless steel are the most prominent fixture finishes used, not just in domestic homes, but in business establishments as well. Between the two, brushed nickel is more commonly used in bathroom and kitchen fixtures due to its brown and earthy tone. Stainless steel, by contrast, is metallic in color. Brushed nickel is distinct for its semi-glossy or matte finish that looks more textured because of its uniform, brush-like grooves. Meanwhile, stainless steel always has a shiny, metallic finish. Unlike brushed nickel, stainless steel is highly resistant to spots, making it easier to clean. Regular maintenance of a stainless steel fixture includes cleaning the surface with water and a clean cloth and drying it with a towel. To compare, since brushed nickel is more vulnerable to displaying dirt spots, daily maintenance typically involves wiping the surface area with a soft cloth and a pH-balanced liquid soap. For deep-seated dirt, a 50-50 solution made up of vinegar and water should be sprayed into the surface before cleansing and drying. The durability of a fixture finish is highly dependent on the brand and the type of steel used during manufacture. Nonetheless, between stainless steel and brushed nickel, the former is usually more durable and more resistant to rust and corrosion. Lastly, since stainless steel is considered a superior type of metal, it is more expensive than brushed nickel and other fixture finish variants.